Bike-sharing systems are a popular mode of public transportation, increasing in number and size around the world. Public bike-sharing systems attend to the needs of a large number of commuters while synchronizing to the rhythm of big cities. To better understand the usage of such systems, we introduce an interactive visualization system to explore the dynamics of public bike-sharing systems by profiling its historical dataset. By coordinating a pixel-oriented timeline with a map, and introducing a scheme of partial reordering of time series, our design supports the identification of several patterns in temporal and spatial domains. We take New York City׳s bike-sharing program, Citi Bike, as a use case and implement a prototype to show changes in the system over a period of ten months, ranking stations by different properties, using any time interval in daily and monthly timelines. Different analyses are presented to validate the visualization system as a useful operational tool that can support the staff of bike-sharing programs of big cities in the exploration of such large datasets, in order to understand the commuting dynamics to overcome management problems and provide a better service to commuters. 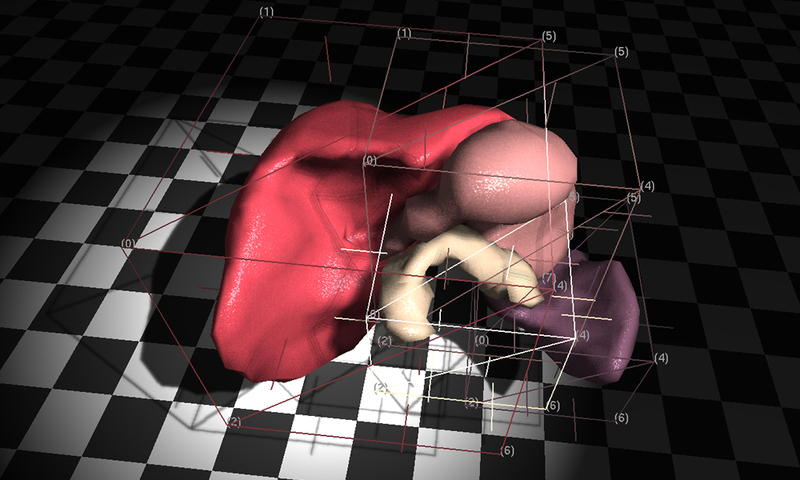 Computer simulation of surgical environments is always oversimplified in terms of physical behavior due to the complexity of the tissues and interactions involved, which cannot be fully simulated in real time. To better manage this trade-off between efficiency and effectiveness, we present a hybrid and adaptive environment that combines a set of methods to achieve higher accuracy and performance. Our approach merges physicsbased deformation methods (Finite Elements and Mass Spring) with a non-physical method (Green Coordinates) to approximate more coarsely the behavior when the focus of the interaction is away, and more precisely during direct interaction. We experimentally demonstrate that the computational complexity of the simulation with our method does not increase with the number of objects being simulated. With our approach, a virtual surgery environment with many dynamic organs can be computed at interactive rates for the first time.